The truth about the magazines? Those of you who know me might nitpick and say, “Well, maybe the truth about one of the magazines. 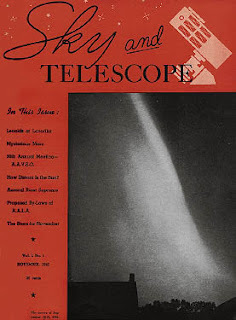 Sky & Telescope.” I have never written for Astronomy Magazine, you see, the other big U.S. amateur astronomy monthly. However, I do know several of the Astronomy regulars, and even if I didn’t, the things I am going to talk about here are hardly specific to Sky & Telescope. In fact, many of these things apply not just to our astro-rags or the big UK mags like Sky at Night and Astronomy Now, but to any hobby related magazine be that CQ or Model Railroading. And, indeed to magazines in general. Disclaimer: The following is just my opinion, and you know what they say about opinions. These are not Fortune 500 companies. Some years after I began writing for Sky & Telescope and their (then) sister publication Night Sky, after I had begun to think my future in astro-writing probably lay more in the magazine arena than in doing more honest-to-god books, I visited the old S&T editorial offices on Bay State Road in Cambridge, Massachusetts. I’d known what to expect, sure, but I was still a little taken aback that this world class publication was not housed in some towering edifice like the HQ of Time Magazine in its heyday. Instead, Skypub was situated in a smallish 1960s style industrial building and a couple of old houses next door to that. No, there is no giant office at Skytel filled with desks and scurrying staffers àla How to Succeed in Business Without Really Trying. The astronomy magazines are a dozen or so full-time staffers backed up by more (but not too many more) regular contributors, “Contributing Editors” in the parlance. Costs go up, head count has to go down, and the product still has to remain good. It’s amazing what gets done by a few committed folks in these latter days. Yes, both Sky & Telescope and Astronomy are now owned by larger corporations, but their parent companies are still small potatoes, to say the least, compared to Time-Warner or some such giant or former giant. Let this be your guide to what is possible. 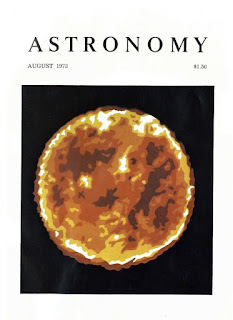 The two are small hobby magazines serving a very small market—maybe 200,000 somewhat serious amateur astronomers in the USA. That means the magazines’ resources are limited and that is unlikely to change. Yes, I believe both will continue to adapt and survive, even if that means someday —hopefully far in the future—abandoning print publication for e-only. But unless the population of amateur astronomers suddenly explodes, I believe the status quo will remain the status quo. So, don’t look for big increases in page count. It is just not feasible. This is not a good time for magazines of any kind, not even hobby magazines. How about the familiar old reliables, the monthlies and the weeklies that have been on the racks since forever? The news magazines are sad and pitifully thin. Those that remain. They will all soon be gone. Hobby magazines like S&T or Astronomy or Popular Photography or Analog or anything similar? They have also shrunk in this day of high publication costs, but not to the extent of a Time Magazine and are hanging on—for now. What is killing news magazines and anything remotely like them all the way from TV Guide to National Geographic is obviously the Internet. Why buy a cow when you can get the milk for free? The same thing that did in the newspapers. Their time is just passing. Less affected but still affected by the Internet are hobby magazines of all sorts. There are tons of websites where you can get plenty of info about your particular passion for free. Frankly, what is amazing is that both Sky & Telescope and Astronomy Magazine have managed to keep their page counts and quality up as well as they have. There is a reason for this relative success that most of us will acknowledge if we really think about it. Free sites on the Internet are not (necessarily) a replacement for a quality magazine. What’s keeping the astro-mags alive is that when compared to the Internet they are just a much more authoritative source of information on our avocation. I’m sure you read the aforementioned Cloudy Nights BBS, and it is great. But it is not Sky & Telescope and it is not Astronomy either. There are plenty of smart people posting on CN, sure, some of the top people in our avocation as a matter of fact. But there are also people posting there who couldn’t find their you-know-what with both hands. It is the nature of an online forum, though, that the views of those who know, and the views of those who only think they do can seem to have equal weight, especially for novices. Unfortunately, novices are both most likely to need help and advice and are also most vulnerable to being steered wrong. That can be serious business indeed, and has more than once even lead to promising new recruits (something we need badly) dropping out of the hobby. 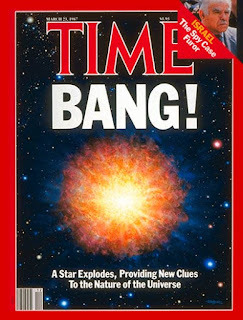 In the past, I have summed this up, the question of what’s an authoritative source for information on our hobby, with one simple question, “Who would you rather get advice about telescopes from, Dennis di Cicco at Sky and Telescope or Joe Spit the Ragman at Cloudy Nights?” Again, this is not to say CN is a bad thing; it can be a very good thing. But when you need advice you can rely on, you are still well advised to go to S&T. 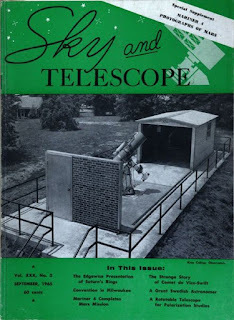 I know you love Sky & Telescope (or Astronomy) but it is not just your magazine. One of the complaints I read frequently goes like this, “Why won’t they print the articles we want to read? Like about measuring double stars with filar micrometers (or building Gregorian telescopes or whatever)?” The reason is that the magazines have to appeal to the general audience of amateur astronomers. That doesn’t mean there are not specialized pieces on specialized techniques or interests now and then, just that you can’t expect your pet esoteric interest to show up in every freaking issue. That is what the Internet if for. Yes, there is most assuredly a place where the Internet, whether Sky & Telescope’s website or Astronomy Magazine’s website or a page you put up yourself, excels: narrowcasting. Serving the interests of the few. Magazines can’t do everything, and expecting them to be able to do everything is silly. Don’t see what you want? Let ‘em know. Just because you haven’t seen a story about micrometers in your favorite magazine doesn’t mean there never will be one. The editors of the mags try to keep their fingers on the pulse of the audience, but Mr. Editor is not a mind-reader. Write a letter or an email and let ‘em know what you want. Encourage your double star measuring happy buddies to do the same, and you very well may get what you’re after. In my experience, both magazines listen. They’d be foolish not to. Advertisers are the lifeblood of any magazines. OK, I’ll fess up: I am something of a gear head. I don’t put equipment ahead of observing, but I sure like looking at cool new astro-stuff. That means that I like “all the ads.” Some of you don’t, however, and are concerned that the advertisements are forcing the editorial content out. That is not the case. The ratio is still roughly the same as it’s been for a while. And even if you don’t like to look at Acme Telescopes’ full page color ad extravaganzas, realize that advertising is, along with subscribers, what keeps the magazines alive. Advertisers are necessary, but they don’t get to determine editorial content. Not at Sky & Telescope, anyhow, and I hope and presume nowhere else. There’s an old canard that I hear repeated over and over and over, frequently on Cloudy Nights, “They’ll never give Acme Telescope Company a bad review. Acme runs all those ads in their magazine you see.” Wink-wink. I’ve heard this story at least since the 80s, if not before. And this “fact” is now common knowledge according to some of you. But the thing is, it ain’t true. I have written reviews, Test Reports, for S&T and I can tell you one thing: I have never been asked to go easy on a product, to tone down criticism, or anything similar. Never. So why do people choose to believe this story? Some people just assume (and you know what they say about that word). Others are children of the Internet, where a review often goes like this, “Damn that fraking Acme. Their equipment is crap. Screw them!” People are now used to over-the-top in online gear “reviews.” They expect it, even if it’s not professional or objective and helps no one. When they do see an objective and professionally written review, they tend to think the writer is going easy on a product. We remember the magazines as being different from what they really were. Whether it is the Sky & Telescope of the 60s or the Astronomy Magazine of the 70s, some of us choose to believe the grass was greener back then. The articles were more technical. There was oodles of math. They didn’t talk down to us. Why, it was real astronomy! The truth, you’ll discover if you actually go back and read those old back issues, is somewhat different. I will admit that both magazines are livelier both in style and appearance than they were back then, but that is not a bad thing. S&T was a fine magazine in the 60s, and I loved it, but I would much rather look at and read today’s product. Was the technical level higher? If it was, it wasn’t by much. Ground truth? Sky & Telescope, which is generally considered to be at a considerably higher technical level than Astronomy, has still never, ever been The Astrophysical Journal. If you need that, trot to your local university library and revel in the ApJ stacks. The people working at/for the magazines are your allies, not your opponents. Almost to a man and a woman, the people I know working in this business are, even though it is their business, committed to and involved in and—yes—still excited about our wonderful avocation. You may not like the way things are with the magazines in this magazine unfriendly age, but guess what? Neither do they. Still they/we work to bring you the very best take on amateur astronomy, the most accurate, informative, and FUN take we can. End of story. Nuff said? Nice summary about state of magazines in general and Skt & Telescope, I still miss the old graceful "Sky" and Telescope logo on the front cover however ! I've sometimes waxed nostalgic about the S&T of years ago. But I must also admit that the "math" that people are remembering was not differential equations, or even high school calculus. Most often, it was elementary algebra or trig. The ATM articles were cool, but it's hard to expect a huge ATM movement with so many good products are available AND are inexpensive. In fact, I was a little late reading your blog today as I was playing with my new Sky-Watcher 100 Pro ED that I just received yesterday. Unfortunately, clouds prevented me from testing it under the stars, but I did tune up the focuser (like you did with the 120) and checked the collimation (which was spot on). Thanks again for another interesting read. I've been guilty of passing judgement on S&T and Astronomy in the past, but fortunately did not post it online. I'll give them a little more grace now. I've been reading both American magazines since I was a kid in the mid 80s. I will say they've both been really good at what they do. It is true they won't appeal to everyone, and some people just aren't magazine readers. BUT there is no better place to read about astronomy news, happenings in the night sky, observing ideas, and equipment than S&T and Astronomy (and Sky at Night & Astronomy Now). I spoke with both David and Kelly at NEAF yesterday and told them both that I enjoy their magazines and asked them to keep up the good work. Plus don't forget Amateur Astronomy, one of the gems in our hobby that Tom started and Charlie continues to this day. Let's hope there will always be astro magazines around. As a professional journalist, I agree with your comments, Rod. And I've enjoyed your articles in Sky and Telescope. You can also look at newspapers, too, and see the ongoing decline. I'm a copy editor at a small daily in Florida, hanging on in the news business and still ambitious to advance despite my experiences, but thinking that my next job won't be in journalism. Recently, a TV station in Cincinnati caused a fuss when it gave out a list of ways to save money, and one was to terminate a newspaper subscription and read it for free online. Well, that's great, but then the local newspaper starts cutting staff and editors, stops covering stories, uses more wire copy and goes into a death spiral as people stop reading and buying, and advertisers stop advertising. It's tough out there for publications, and the people who work for them. I think Astronomy and Sky and Telescope do a great job, though I sometimes choke at renewal time but it's the price of still having a decent magazine. Having the paper copies is a plus, and I also bought their back issues on DVD, and love snooping around in there, reading about old discoveries and old space missions, as well as the ads. Well said! What most people don't realize is that ads are not intrusions -- they are the main source of funding for most magazines. (Subscriptions and newsstand prices just pay the cost of delivering it to you.) The more ads there are, the more editorial content there can be. Anyone who watched the rise and fall of PC World has seen this. I agree, Mr. Covington. Look at PC Magazine and Computer Shopper and more. They rode the rise and decline of their industry, and only exist virtually now. I like the ads in Astronomy and S&T, if only because while they are trying to move product you at least know what's new out there, and know it's so we can read our favorite magazines. The future may be niche publications. Personally, I had to end my paper New York Times subscription but subscribe to the website for a more affordable price, and have subscribed to the Tampa Bay Times paper edition to get access to the web edition, and the Washington Post online. I miss a lot not getting the paper paper, but at least I get something. I've subscribed to S&T since September 1967 and have always loved it and still do and hopefully always will. Decreasing revenue with increasing quality expectations are in many areas - including mine as a defense contractor. I pay a landscaper more than I can pay an engineer under our defense contracts. I can't win competitive contracts with what engineers were paid 10 years ago. It took losing a lot of work due to being underbid many times before I finally readjusted our pricing. It is a shame. Rod - your articles are always fun to read and informative. Your passion and honesty shows. I hope you always maintain your style as our uncertain world changes. P.S. I have no problem with S&T's ads. Sometimes I only wish the little ads in the back were bigger.